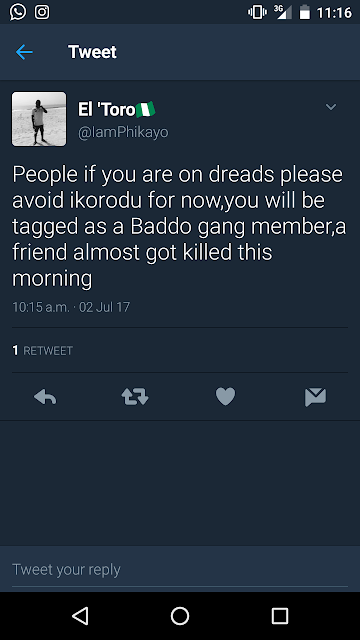 Following the sudden decision by traditionalist and police to declare war on the notorious cult gang Badoo, one twitter user has warned people on dreads to avoid Ikorodu as it is a dangerous place to be at the moment. The twitter user, @iamphikayo, took to his page to reveal how his friend who was caught with the hairstyle was almost lynched by a mob. He claimed that his only offense was having the hairstyle and wearing shorts. He said his friend was almost killed if not for being rescued later. 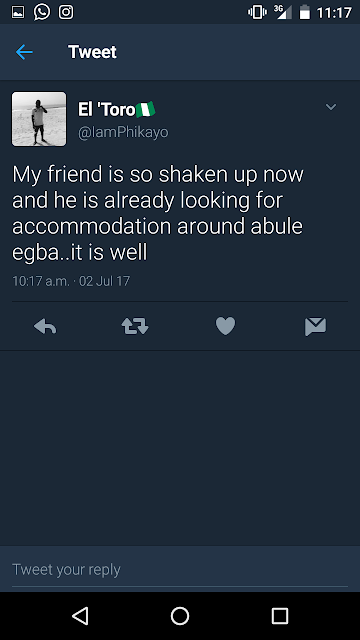 He said his friend has now been forced to seek alternative accommodation in Abule Egba. 0 Response to "Warning!!! Stay off Ikorodu if you have dreads :- Twitter User Cries out"